Join us for a day of discussion. Film clips, speakers, panels. Focus on acting, writing, producing & directing. Samuel West, Ben Anthony, Liz Carr, Paul Darke, Ju Gosling, Jaye Griffiths, Rahila Gupta, Ewan Marshall, Caglar Kimyoncu, Richard Rieser, Colin Rogers, Shirani Sabratnam, Allan Sutherland, Laura Wade, Danny Sapani. The events will be signed. 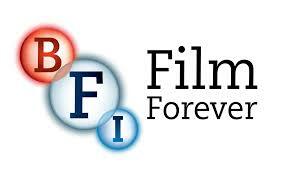 Tickets: BFI Box Office £10.00 (£3.00 concs), 020 7928 3232. Philippa Harvey (NUT President), Eleanor Lisney (Sisters of Frida), Sian Vesey, John McDonnell MP, Penny Pepper (Performer), Richard Rieser (UKDHM). Reserve place for launch at info@ukdhm.org or 0207 359 2855.